Monday comes around far too quickly these days! 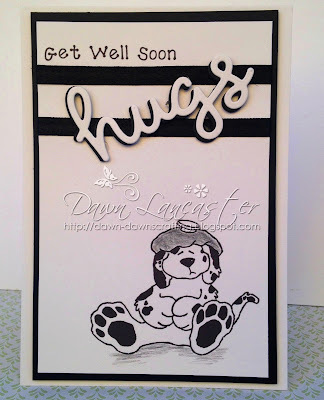 He's just too cute & just perfect for get well cards! which sadly, don't really show in my photos! added two bits of black ribbon, which were rescued from a friends top ages ago. dimension. Inside, I've simply added a plain paer insert! Thanks for popping in today, I hope you like my little card! Hi Dawn, this is just gorgeous, would put a smile on anyone's face. I just love the black and white. 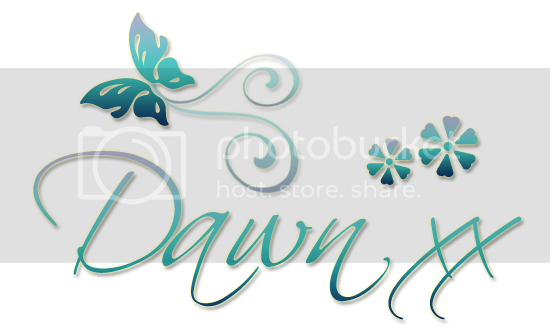 The black ribbon is super cute and works amazing with this adorable image. Thank you for playing our Ribbon Challenge at 4 Crafty Chicks. Inspiring!! 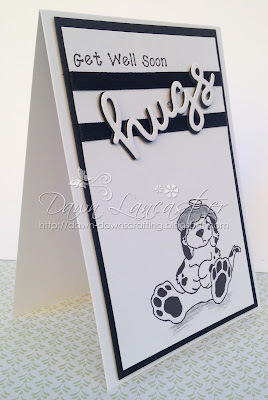 An adorable card Dawn, such a sweet image and your layered 'hugs' sentiment looks fabulous. Aww, poor puppy! Such a sweet way to send cheer to a sick friend. Love how you used hugs too! Stunning card and cute image..
Adorable card :) Thank you for joining us at Jo's this week for Funday Friday. 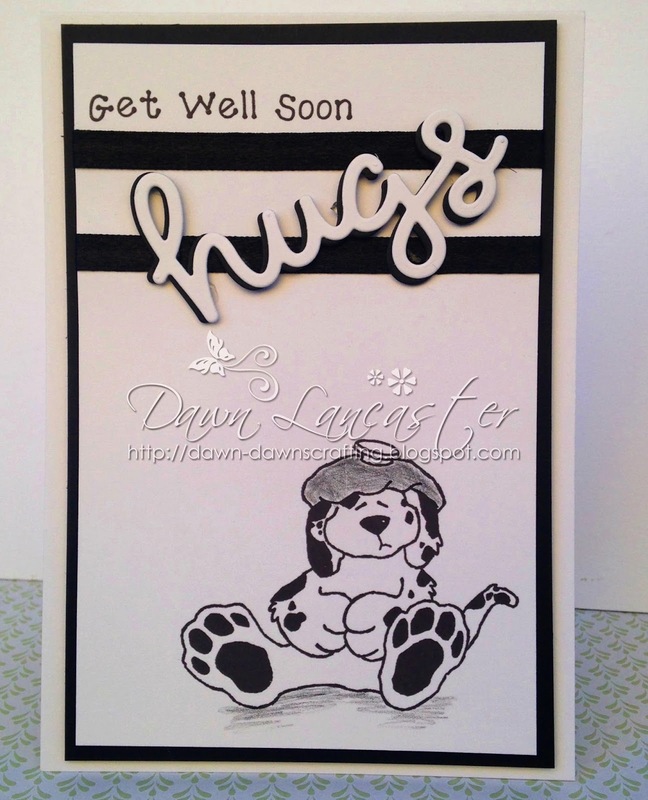 Such a sweet get well card, Dawn. Poor little pup does look pretty sick but he'll bring a smile to someone's face. Love the monochrome black and white!